Other Implementation Services reviews by real, verified users. Find unbiased ratings on user satisfaction, features, and price based on the most reviews available anywhere. MediaFire is a cloud storage service that helps people store, organize, and share data via the Internet. Uptima delivers a range of applications, software and services to it's customers. Improving businesses with manufacturing and 4organization needs. 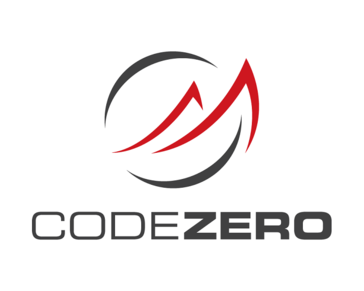 Code Zero is an experienced and nimble consulting firm focused on Salesforce solutions. Our team brings decades of experience to help support our customers through their entire Salesforce journey, from scoping out the best solution during the sales cycle to delivering that solution on-time and on-budget. Our clients range from small non-profits to large, global, complex enterprises spanning the technology, manufacturing, retail, healthcare, media, telecommunications, education, and financial services industries. We are passionate about helping our clients quickly adapt to changing technology by focusing on elegant, efficient, and scalable solutions that maximize their return on investment. Advanced Technology Group (ATG) is a global leader in Quote-to-Cash advisory, implementation, and managed services to both mid-market and large enterprise brands seeking increased agility in the “everything as-a-service” economy. Using years of domain expertise and a refined set of delivery accelerators, ATG brings contemporary solutions to the way clients transform and manage their customer and revenue technology platforms. Implementing CRM, Quoting, and Billing systems are the core of what we do at ATG. We are in a unique position as a recognized global thought leader in Quote-to-Cash, with the #1 implementation position with three leading providers of cloud or platform-based CPQ and Billing Solutions, providing unique and differentiated value to our clients, our ISV partners, and our GSI partners. ATG has always had a passion for developing reusable content to accelerate successful outcomes for our clients and fuel the growth of our business. With the emergence of the Solution Center approach, the need for training, tools, and methodology was enhanced. ATG now benefits from seven years of dedicated focus on building proprietary tools and intellectual property (IP) to support our reputation as a Q2C thought leader and premium implementation partner. The cornerstone of our IP is our Atlas Framework™, which is a suite of implementation methodology, training, and tools that reliably enables on-time and on-budget delivery of cloud-based CPQ and Billing Solutions. ATG has leveraged the Atlas Framework™ to enable 15 production Go-Lives in a recent 90-day period. In addition, Atlas Framework™ is now being used by trusted SI Partners in EMEA, APAC, and LATAM, to enable a global, scalable ecosystem for delivering key Quote-to-Cash cloud solutions. As a Salesforce Gold Level Consulting Partner, we see that the Salesforce CPQ space is exploding globally. There are thousands of B2B companies leverage heavily customized Quote objects on their Salesforce platform. Moving to a robust, out of the box solution, will greatly streamline their process and reduce their overall costs of ownership. ATG sees Salesforce owning the lion’s share of CPQ projects in nearly every industry segment we serve, from Large Enterprise, to Mid Market and SMB. With the emergence of Salesforce Billing, we are forecasting a tremendous volume of Salesforce CPQ projects over the next several years. Visit atginfo.com for more details. Athena Technology Solutions is an IT services, MES and business solutions organization that delivers real results to global clients by integrating information systems across the supply chain to deliver real-time business intelligence enabling rapid decision-making. Heller Consulting helps nonprofits streamline their operations and maximize their use of software for fundraising and mission management. Sererra is a leading Green IT technology and management consulting firm focusing on delivering turnkey business solutions for midmarket firms worldwide. Forget Computers is a team of Apple support specialists, skilled in serving the unique technology needs of Mac-based creative professionals who are the technical resource for IT Professionals nationwide who manage and support Macintosh desktops, servers and iOS devices. GK Horizons is an Adaptive Insights implementation partner that focuses on business planning, forecasting and reporting. iDC Logistics International is one of the leading logistics companies, providing end-to-end design, implementation and operational capabilities in freight forwarding, contract logistics, transportation management and distribution management. iPipeline provides SaaS solutions that drive straight-through processing for the insurance and financial services industry. Pangea is a strategic outsource provider that develops fully customized, web-enabled software solutions to manage in-store marketing communication for the grocery and retail industry. Rosetta connects rich data, engaging experiences and robust technologies to create meaningful customer relationships that drive business impact. The BDE Group will help you find the solution that suits you, whether in relation to purchasing equipment, installing and maintaining your computer system or your security and business continuity. 4mediarelations is a leading UK broadcast consultant, working with global brands and PR agencies to produce innovative, creative and penetrative broadcast campaigns for TV, radio and online media. Monlash Solutions offers ADempiere ERP software implementation services and support. 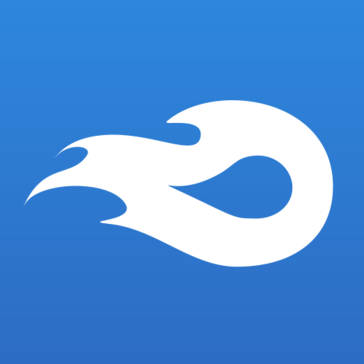 Advantage Quickbase develops web-based applications for the world's largest companies and emerging companies alike, which can empower your teams to improve workflow and workgroup collaboration, connecting people and information. Advoco Solutions is an experienced consultancy firm that provides IT services including support, outsourcing, procurement and consultancy services to small and medium sized businesses. Their focus is on providing SMEs with cutting edge IT services that are usually reserved for the larger company. Apttus, the category-defining and leading Quote-to-Cash (QTC) software provider, drives the vital business processes between a buyer's interest and the realization of revenue. ARKE is a brand experience consultancy specializing in strategic implementations of marketing technology solutions. Armontsys offers development, creating custom applications using FileMaker as your main platform. Aurora North provides industry expertise and thought leadership to enhance legal operations, increase efficiency and reduce risk. Avionos is a digital agency that delivers differentiated connected solutions and extends the brand promise beyond traditional expectations. Avionos brings together digital strategy, design and technology like no one else in the marketplace. AXIOM Systems is an information technology solutions firm providing an array of information technology consulting services and products exclusively to the healthcare industry. AzteQ specialises in the provision of accredited installation services covering the UK. Activities are provided as either a one-off project, a multi-site rollout project, break-fix BAU or as an ongoing site support service. Blink provides ERP and business intelligence implementation services. BODEX exists to help enterprises maximize their return on investment on technology and let them use technology as efficiency enhancers. Brix is a CELUM implementation partner that offers solutions in fields such as the design and implementation of ERP and DAM systems. BroadcastAustralia's competencies span all aspects of the planning and delivery of analogue and digital transmission systems. CareCloud Professional Services consists of a world-class team of financial, administrative and clinical experts who ensure you realize the full value of your new solutions. They form a deep partnership with you throughout the implementation lifecycle from initial system configuration to staff enablement. You get peace of mind throughout the process. CEATH Company is a leadership development, process improvement and technology consulting firm with clients in thirteen countries on four continents. It has clients in higher education, manufacturing, healthcare, non-profit, and military sectors. CFO on the go provides leading-edge business solutions to construction, service & real estate business. The company specializes in the implementation, consulting, and training of Sage Construction solutions . CitiusTech is a leading healthcare technology services and solutions organization with over 2,700 professionals world-wide. CiviHosting is a small, privately held firm specializing in high-quality shared Linux hosting. We have been hosting since 2006 and we have migrated many clients from “big-name” hosts including 1&1 Hosting, A2Hosting, Anchor Systems, BlueHost, CrystalTech, DreamHost, FutureQuest, Hot Drupal, GoDaddy, JustHost, InMotion Hosting, IX WebHosting, HostGator, HostMonster, HostPapa, HostRocket, iPower, IX Web Hosting, Linode, MediaTemple, NTC Hosting, Pantheon, PowWeb, Rochen Host, RackSpace, Site5, SiteGround, TMDHosting, WPEngine and Yahoo Hosting. Our clients tell us that they transfer to us for better service and support. We offer a 100% satisfaction guarantee. If you are not 100% satisfied with our service or support, just tell us and we will refund your money. Cloudwith.me is a fully automated solution designed to help users to upgrade/adopt to the cloud infrastructure (AWS) without any hassle or prior technical knowledge. It offers fully managed Cloud hosting services. Compucorp rebuilds client's processes and integrate them with your digital platform so clients can give a seamless supporter or client experience. Creative Thirst focuses on icnreasing revenue and average order value for companies selling health products and or nature health supplements direct to consumers. Crest Technologies offers full management and implementation services, from concept, to planning, to implementation. Deeply Digital has a broad range of solutions for phone systems, long distance, Internet, computer networks, and security systems. Demand Frontier is a leading provider of professional services in the demand generation, and IT Sectors. DEODIS assists companies in the daily operational management of business processes and projects. Direct Systems Support's primary objective is to design and to implement custom end-to-end solutions with world-class IBM technologies for businesses. Hi there! Can I help you find the best Other Implementation Services solutions?